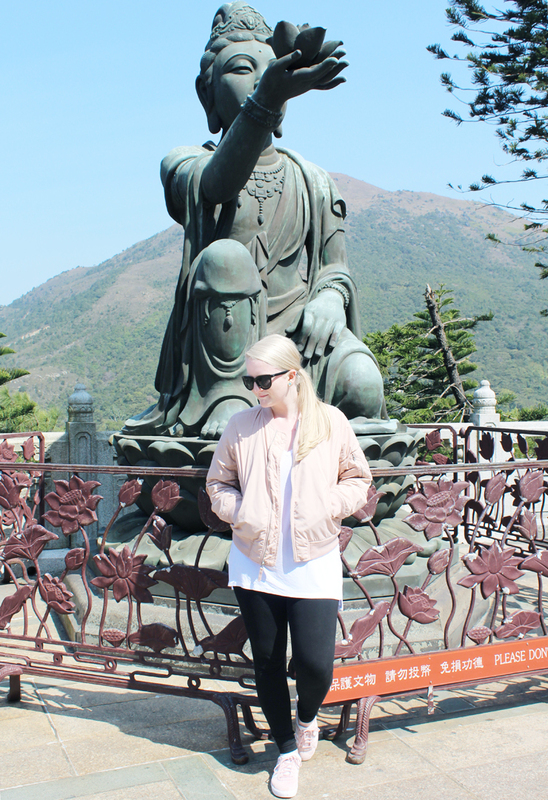 I wore this outfit when I went to see the Big Buddha on Lantau in Hong Kong. 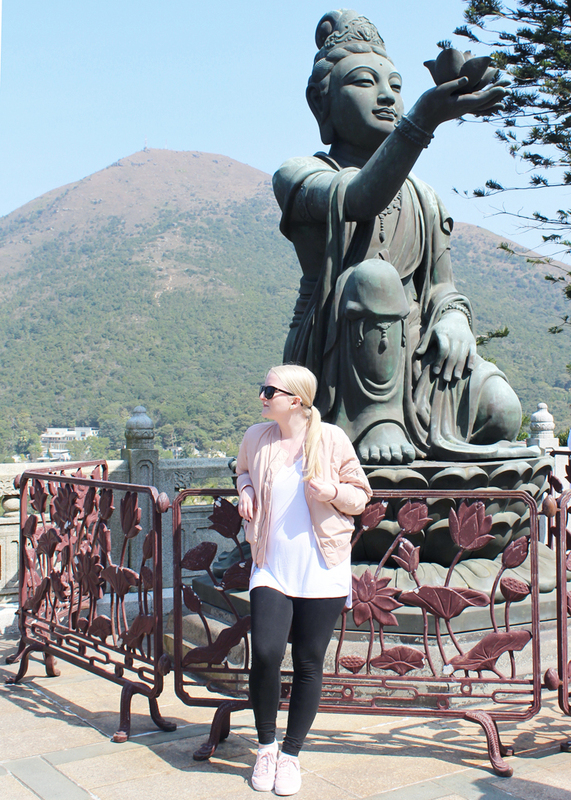 This simple athleisure look was perfect for all of the walking around this adventure required. 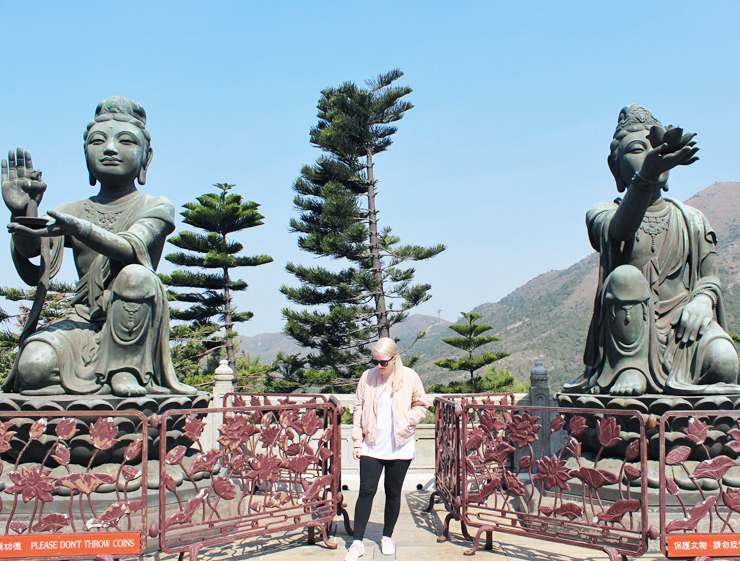 I was so proud of myself this day because I managed to climb the almost three hundred steps required to get up to the Big Buddha! I'd be lying if I said I didn't need a lot of breaks, but I still did it, which is all that matters to me. If you're headed on an adventure like this anytime soon this look is great inspiration for what to wear and what to pack. 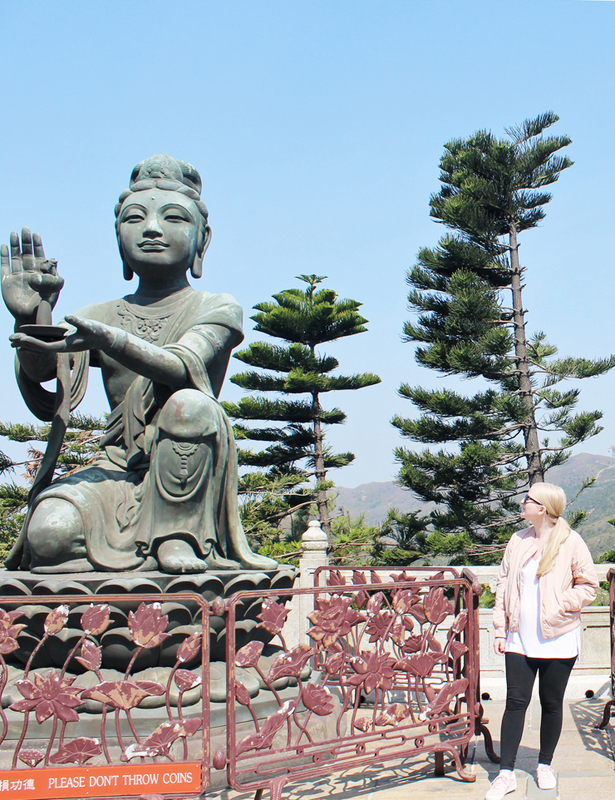 The Big Buddha was such an amazing experience and I have so many pictures from my trip there! I'll be sharing another post soon with all of those and more details on my time there so keep an eye out for that. What was your last great travel adventure? 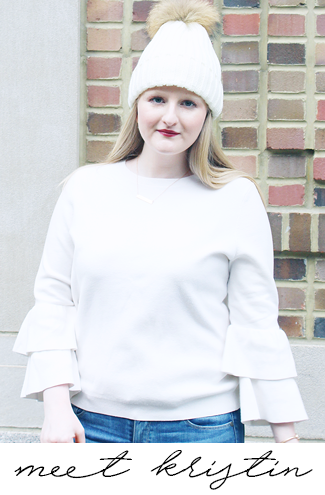 Today I'm linking up with Friday Favorites, Fab Favorites, and Friday Favorites. What amazing views! I would totally attempt that many steps for that view! Very cute and practical travel outfit! That is a lot of steps! What a great workout on your trip! Such a cute outfit! 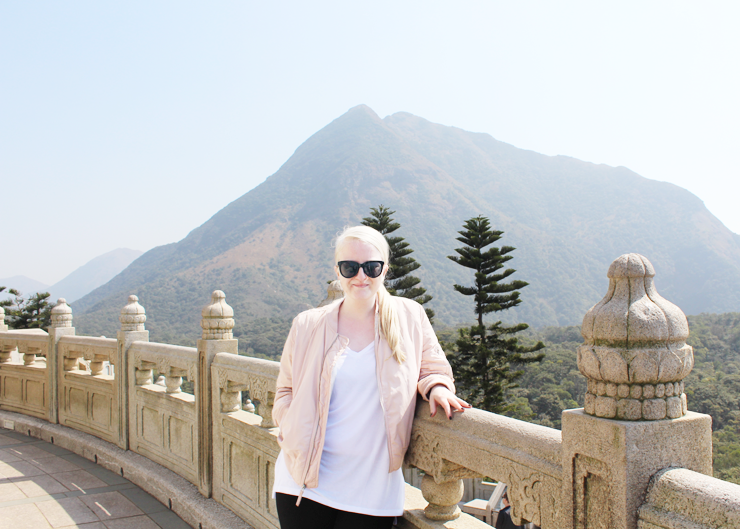 I tend to struggle with looking put together while being comfortable on trips, but this is a great outfit to replicate! So comfy! I love the jacket!